Session replay, funnels, forms, heatmaps and user feedback platform. 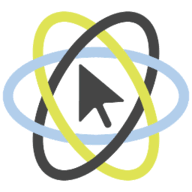 Mouseflow is a website conversion tool with multiple features to help you monitor the user experience on your website and boost conversions. Mouseflow describes itself as an ‘all-in-one analytics tool’ which offers session replays, heatmaps, conversion funnels, reporting and forms and polling. These tools are designed to help you to understand your audience and increase leads, by optimizing the design of your website. Mouseflow is one of the most fully featured all-in-one style website optimization tools, offering more than just a focus on session recording or granular analytics. The platform offers you important insights into how well your website is engaging readers. Session recording us useful, with frustration monitoring automatically highlighting sessions where users have experienced problems. Mouseflow offers visibility into customer segments, conversion funnels and customer segments. They also allow you to create custom forms and surveys so you can gain more insights into your customer’s experiences. Mouseflow is a good option to consider for mid-sized to larger organisations looking for a range of features to increase their website conversions.